CBS’ Network Ten has reportedly canceled its daily gameshow Pointless. Pointless, which was commissioned to replace Family Feud in the 6pm slot, has been axed even before the official ratings period of the year has begun. Media commentator Peter Ford told a Hobart radio station that people involved with the show were told the program is finishing. According to TV Black Box Ford said: “Yesterday people involved with the show were told that it’s finishing. “But you’ll find the show has got the chop and they are looking at options, now one of those options could even be to bring back Family Feud, they’ve got the set there ready to go.” Ford said to MMM Hobart 107.3 hosts. On its premiere Pointless saw 493,000 metro viewers tune in. Pointless’ debut did however out-rate Family Feud’s final episode which attracted just 213,000 viewers. The gameshow is hosted by Dr Andrew Rochford and Mark Humphries. 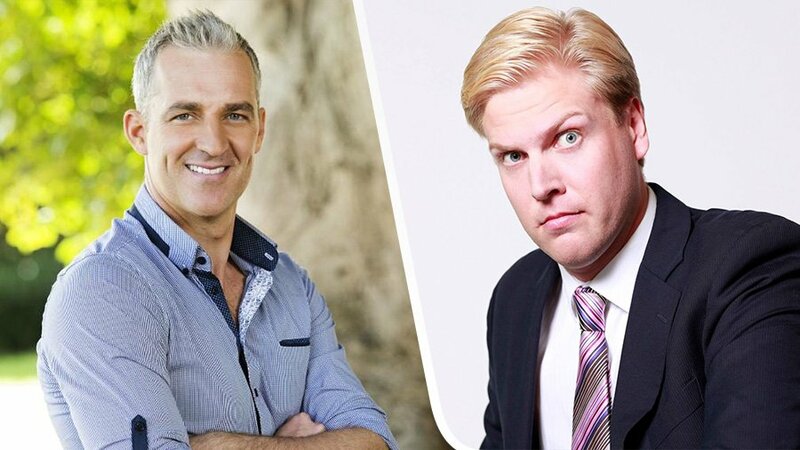 Rochford is a medical doctor who also presented Channel Ten’s The Biggest Loser while Humphries previously worked on SBS Viceland’s show, The Feed. The show, based on a popular UK format, was produced by Endemol Shine. Ten decline to comment. and a tree fell in the forest. I must admit this is the first time I have ever heard of this show! The show was based upon good ideas and sound foundations. the problem with transplanting it here was obvious to anyone who understands theatrical presentation needs. Selection of competitors aside, the hosts are everything here. There must be sharp, attention to detail and constant checks on delivery and energetic enthusiasm. The show depends on theatrical energy and appeal, which means close attention by a sharp director. Key ingredients are personality, clarity, selective humour, warmth, informative inclusions, accurate usage and a slight pinch of authority. As a drum must be kept tight, and all musical instruments kept in tune, so this kind of show must be tightened and tuned constantly. I will be sorry to see the one show that I enjoy be. Taken from the screen. The show is simple in design, the rewards also allow Mr and Mrs average to have a go and the two hosts are good. Pointless didn’t work in Australia like it does in the UK because the average Australian doesn’t like intellectual games that require him to ‘show off’. Australians really don’t appreciate obscure terms of reference. We are not linguistically gifted. There is no Aussie equivalent to Oscar Wilde or Mark Twain. Oscar Wilde was Irish, Mark Twain American, they just as we do, spoke, read, wrote and communicated in English. One could easily quote a long list of Australian Playwrights, authors, poets, songwriters etc. This is 2019, not 1900. JC Williamson was once the largest theatrical organization in the world, Steele Rudd and his theatrical presentation of Dad and Dave was known in London and New York. Patterson, Mary Gilmore, Miles Franklin, C J Dennis, Norman Lindsay, Ray Lawler, Nevil Shute etc, and I haven’t even scratched the surface. Got to disagree with you. Pointless was cancelled because Australians don’t like to think that intellect counts for much. The average Aussie doesn’t know obscure trivial tidbits. Australians quote comedians like Kitty Flanagan. We don’t quote Oscar Wilde or Shakespeare. Australians regard winners of game shows as ‘smart arses’. Australians tend not to like smart arses. Noone I know “quotes” Kitty Flanagan. Was a fan of the English version, very disappointed that this has been cancelled, possibly the only aussie commercial game show that I’ve ever watched regularly, mostly as there is some challenge and hosts are actually funny. I am with you. It is a great loss. Why not learn something, test yourself, and have a laugh. Why does everything have to be dumb and meaningless? I used to watch the English version but now find it is a bit long after watching the Aussie version. At least I can still watch Hard Quiz. Pointless was up against the evening news of Channels 7 and 9 (for dumb people) and ABC’s The Drum (smart people). It didn’t stand a chance. There’s too much news forecast through out the day. I for one watched pointless which was a very informative & funny show. The only negative was it wasn’t as long as the English version, otherwise it’s foxtel. I read my news online. Oh and wear ties with a suit! Worst name for a show ever. “Pointless” is apt as that’s how contestants win. Love the show was not a fan of the British one, Andrew and mark have really grownn into the roles as hosts and maybe 10 should think outside the square and put it on at 7.00 pm and start The Project at 6.00 pm as a Point of Difference, or Pointless. I assume you speak for yourself when you say Australians don’t appreciate intellect. I for one do – and am always keen to broaden my knowledge. I first watched the British Pointless and really liked it. The Australian version in my estimation is a terrific adaption. Fast paced and wonderfully witty only half an hour out of your day. I will miss Mark especially – he is a true entertainer. Disappointing Channel 10!!!!!! Will not be watching the vacuous Family Feud. Loved this show but the problem is they had to dumb the questions down for the Australian audience. Need further evidence? In one early show only 60 odd people could identify a picture of the Sydney Harbour Bridge!!!! Really? It’s obvious we Aussies would rather see yelling & screaming (and that’s just Grant Denyer) game shows on our screens with questions the average household cat could answer with the same shrill as the host. The UK version was far superior. This version was dumbed down so much it was an insult. The original was warm and friendly, this remake felt cold and informal. Changing the format in so many ways is a recipe for disaster, the reason the original works so well is due to a winning format. Well, it’s 14 March and it’s still on. What’s the story? I enjoy watching it. British version better because it had extra players and good hosts and subjects. But Mark and Doc have grown into it well. 10 should leave it on. ABC should bring back British version too. They even have a celebrity one there. Love pointless so disappointed that it is going. The hosts are great and the format is fantastic. Not sure what we will watch now. We really enjoyed the British version that we were introduced to. The Australian shortened version was good at first but became even better over time as the hosts developed their back and forth banter skills. My wife and I watch this every night and are very disappointed it is being cancelled. I will be sorry sad,and angry to see pointless go. I have watched it from the beginning. I love it, and the joking rapport between Mark and Andrew. Dr Andrew has the nack of keeping Mark grounded when he gets too serious about himself. I get tired watching the news, which seems to be on at least one channel, every hour. Please keep it on the air, please. Very disappointed that Pointless is being axed. An excellent rapport between hosts and contestants. Quick witted Mark made it funny and entertaining. So much more personal and warm that the English version. Both hosts seemed to genuinely enjoy their roles. It’s a pity that such an informative show is likely to be replaced by low-level bogan fodder.